That moment defined what the UK centre has managed to accomplish over the last 3 years. Deepika could have taken the test ‘lightly’ and with no emotions attached. But there seemed to be a sense of attachment and ‘a want’ to do well. This surely has come from the months of bonding between the volunteers and the children.. 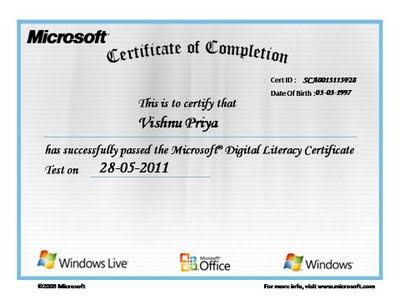 This certification tests students knowledge about basic computers , internet and worldwide web , basic skills in productivity programs among others. This is a significant step for Deepam since our computer curriculum is also focussed on making children familiar in the same areas as digital literacy certification curriculum. Thanks to all the volunteers who have worked with the UK centre children over the last few years. Prasanna , Kamalesh , Shyam , Arti and the logica volunteers had spent last few weeks revising the curriculum , getting the children prepared for this certification. 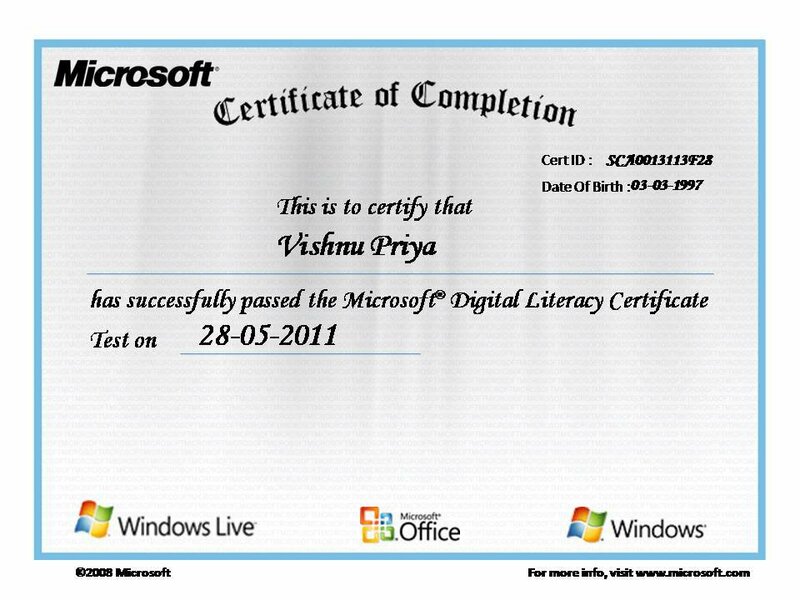 Someday soon, we will have all children at Deepam – Microsoft Digital Literacy Certified !